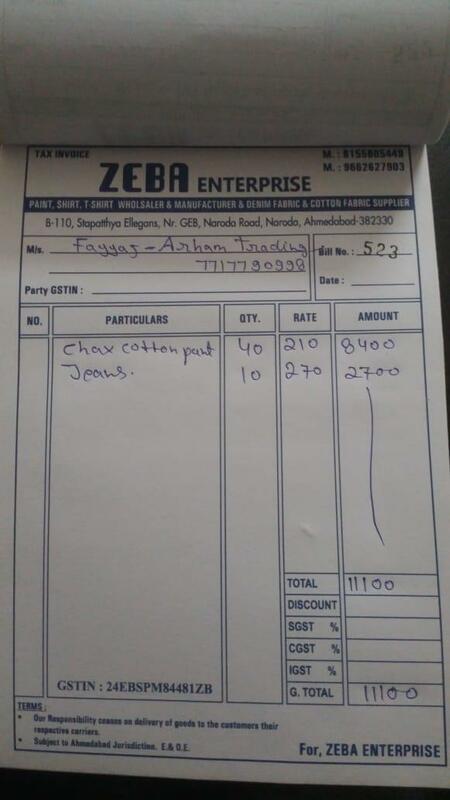 Zeba Enterprise , Ahmedabaad owned by Nabi Mohammad is a fraud person. He is doing online fraud using facebook & whatspp groups by showing himself a Menswear manufacturer. He is having all documents to make people fool like GST Number , Municipal Corporation License , bank Account with name Zeba Enterprise. He has also taken GST No. as 24EBSPM8448B1ZB. His aadhar number as provided is 718616233211 . He has done fraud with many person. Recently on 08.09.2018 i pay him 11000 for Cotton pants but now her is not responding. His Account Details which i made payment is Punjab National Bank. His one more account with Name Zeba Enterprise is with Bank of India. Kindly help to Block this Fruad all GST Numbers & Accounts.